I’m always envious of chefs on the Food Network. Not only are they culinary geniuses who make me hungry every time I watch them cook, but they always have these gorgeous kitchen set ups to bring their visions to life. I am convinced this is why I have not made millions of dollars cooking. I don’t have the right kitchen for it. Or maybe it has something to do with setting off the fire alarms periodically when I cook. Anyway, I digress. 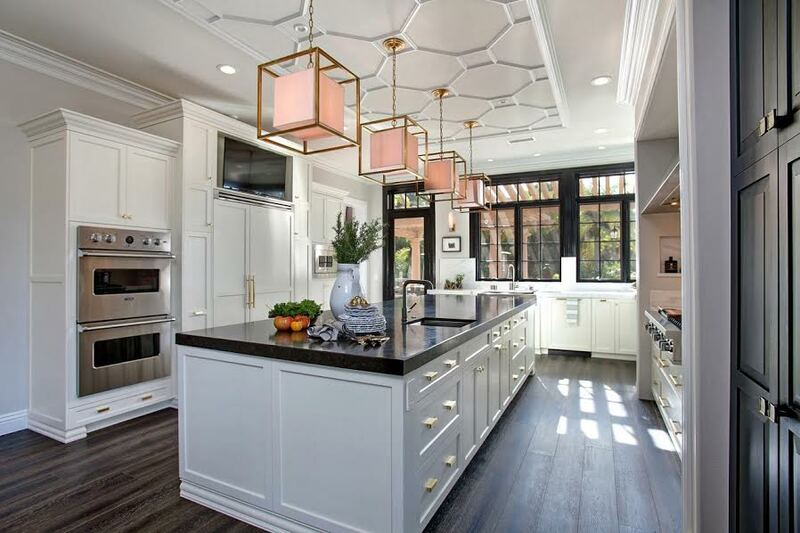 The reason I am imagining being a culinary rock star is because I have been researching what some of the best tips are when looking to remodel your kitchen. Not only is it the heart of the home, but it is also one of the highest return on investments you can get when looking to sell. Did you know that the National Kitchen and Bath Association recommends taking 6 months to plan a kitchen remodel? Why? Simple. Less temptation to change your mind during construction, which not only can create change orders but also can inflate construction costs which can hurt your return on investment. All in all, some pretty solid advice. Take your time designing your remodel so that you can keep the cost and time under construction down. Prior to delving into a new design, take a moment to study your existing kitchen. No, not to think about all the good or scary times you have had in there (although you can), but to take note of some important things, like how wide is the doorway into the kitchen? How wide are the walkways, how high are the counter tops? It might seem silly, but it gives you a starting idea, and helps prevent mistakes like buying the jolly green giant of fridges and then find you can’t even get it into your kitchen. Observe where your plumbing and electrical areas are located. These can be extremely spendy to move, therefore cutting into your budget, so if possible try to keep the same footprint by not relocating those items. Gone (mostly) are the days of the galley kitchen! There tends to be far too much traffic now to support such a narrow walkway. Instead, traffic patterns suggest that the work aisles in one’s kitchen should be a minimum of 42″ wide or a minimum of 48″ when multiple cooks are using the kitchen. There are so many ways you can plan for safety in the kitchen. One you may not think about is creating good visibility to the backyard and indoor play areas from the cooking area. As pretty much every parent knows, a quiet child is scarier than a loud one. They are never up to any good. Other safety conscious items you can consider include choosing to use rounded counter top corners versus the standard squared, slip-resistant flooring, and placing ovens at an adult height to minimize the chance of accidental burns. Ergonomics are for everyone! Ways you can apply this in the kitchen include using drawers or pull out shelves in base cabinets, or having counter tops that can adjust up or down. A wall oven versus a range is also considered to be ergonomic. It may or may not be for you depending on how you would like your kitchen to function. A big draw in a kitchen is the amount of storage it has. I have heard many a client lament if no pantry is found, or if cabinetry is sparse. So when designing your dream kitchen, think storage! Why dust off the tops of overhead cabinets when you can have cabinets that go up to the ceiling? Perfect storage for those once a year items you bring out at the holidays. Deep drawers give more space to put those items you want to keep off the counter tops. Another fun thing? Designing a cabinet that holds your garbage and recycling bins. It keeps them out of the way and creates a nicer presentation. Other ways you can create more storage is to mount small shelving units on unused wall areas and inside of cabinet doors, or hang up some pots and pans on a ceiling mounted rack. You can even keep the broom or mop hidden by installing a hook on the back of a closet door. I guarantee the more storage you have, the more people will swoon. I know there is so much more to talk about when it comes to kitchen remodels, but thankfully there are more weeks in which we can delve deeper into everything that is the home of the culinary. What features would you want included in your dream kitchen?